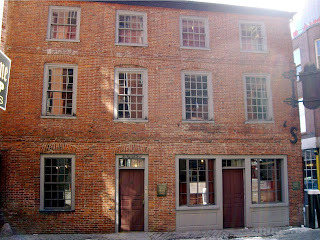 10 Marshall street, is known as the Ebenezer Hancock house was built in 1767. One of its owners was the 1st Governor of Massachussets , John Hancock, and he allowed his brother Ebenezer to live here. Today it is the home of the Law Firm Swartz & Swartz.